All dog lovers know their pet is a loveable member of their family with many skills. One former student at Florida Atlantic University has even trained his pooch how to fish for fresh seafood! 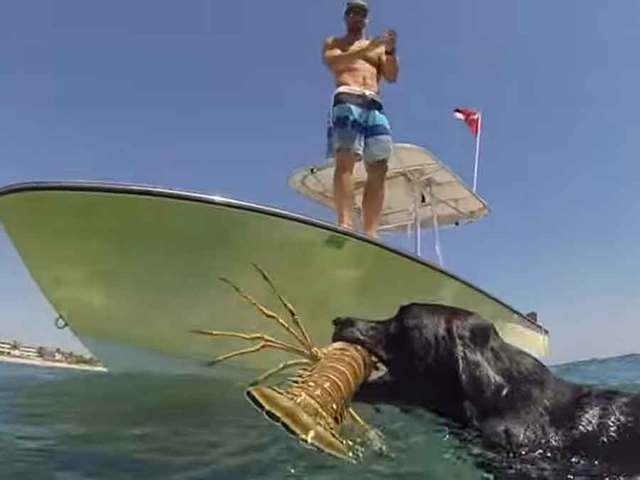 Alex Schulze has taught his adorable Labrador, Lila, how to dive and catch lobsters here in South Florida. Schulze posted a detailed video on YouTube that shows how he trained Lila to perform this unique skill. He said the key is to associate the task with fun and started the training with throwing toys into a swimming pool. Devoted to the Ocean's Cofounder Alex Schulze trained his dogs how to dive down and catch a live lobster!